Collaboration between Bernice Au, Trish Ang and myself. 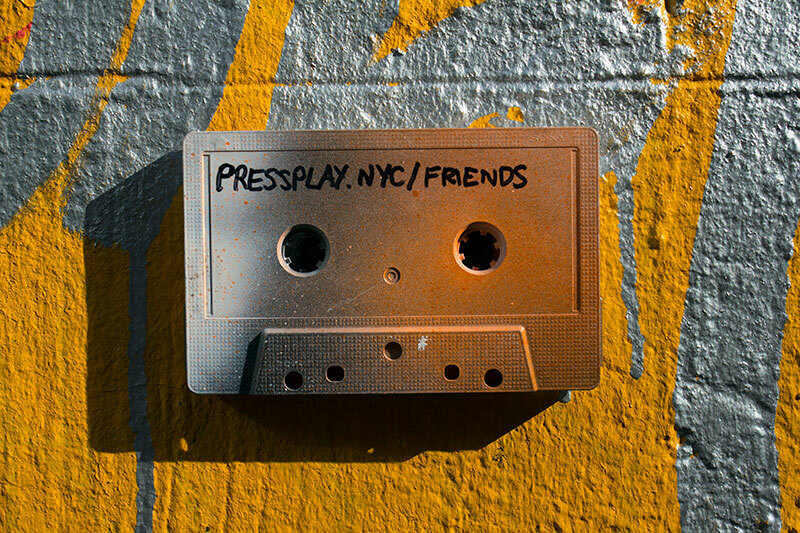 Press Play NYC was a combined real world and web experience that had individuals stumble upon cassette tapes hidden around New York City, each of which brought the user to a unique song about the city and collaboratively helped unlock the entire 50 track mixtape. By traveling to the web address found on the tape the individual unlocks the track and can listen to the tape's song. He/she is also shown that there are 49 other tracks and 49 other tapes to be found, sees which other tracks have been already unlocked by other people and can listen to any of the other unlocked tracks. Trish and Bernice were visiting NYC from Oakland and Sidney respectively. Bernice, having traveled so far, wanted to do something big and fun and brought 50 beautifully painted cassette tapes, each with a different Youtube address to an NYC song, to post around the city for people to find. Hearing this we were cued to ideas of mixtapes and sharing and Trish and I conceptualized and built a collaborative unlocking scavenger hunt half to Bernice's original experience.